I'm happy to kick off this yarn party with a booming yarn palace- Loopy Yarns of Chicago, IL! Loopy Yarns is a store that makes an effort to welcome customers and make them feel at home. Located in Chicago's famous downtown "Loop", the store is beautiful, quaint, and inviting. Loopy Yarns is located in a beautiful red brick building at historic Dearborn Station. After hearing about Loopy Yarns from my online activities (and knowing they host celebrity classes! ), I was really excited about visiting this famous yarn store that has everything! 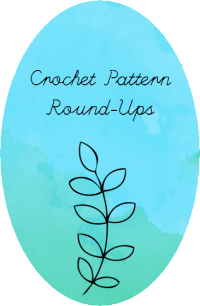 You know I immediately zeroed in on the crocheted samples. Check out this wire dress form! I thought this was a neat technique- a felted bowl with synthetic fiber worked in. Great effect. Mom found a project in the corner. Every luxury fiber I've heard of was there. In all the pretty colors. Look at all those luscious colors! In addition to all of the beautiful yarn available upstairs, there is a spacious and comfortable space downstairs boasting a large sale section (yes! 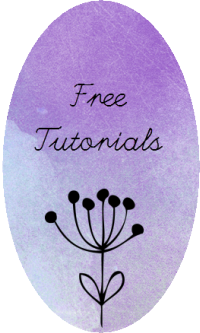 ), a classroom, a spinning corner, and comfy chairs in which to sit, relax, crochet, knit, and spin. This is pretty close to paradise. I wonder when Mom will take up spinning. It's so her. She's a textile addict. I found this Linda Permann sample on a comfy chair downstairs. I love it when I can identify designs! All told, I did pretty well at Loopy Yarns. I often get overwhelmed in US yarn stores because there is so much to buy but I never have projects in mind, so... I just picked up these few little things. Yes, those are Addis. And yes, they do rule! And it all came in this fabulous tote bag, which was free (because I bought so much). They keep in touch, too! I joined the mailing list and I got a sweet birthday greeting and coupon that I can use when I go back. 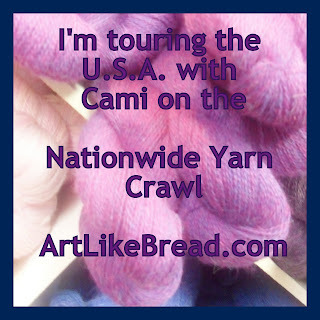 This post was part of the Nationwide Yarn Crawl with Cami on Art, Like Bread. I'm just doing it for fun!